Bernadette Corporation, Hell Frozen Over, 2000. Video to HD transfer, color, sound, 19 minutes 22 seconds. Courtesy of Electronic Arts Intermix (EAI) and the MIT List Visual Arts Center. 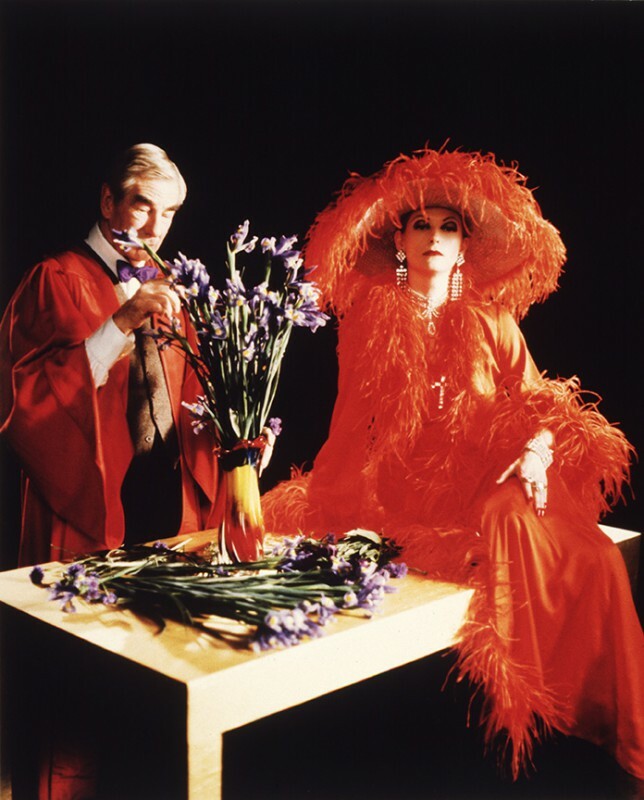 The MIT List Visual Arts Center presents List Projects: Narrative Color, an exhibition of film and video including work by KP Brehmer, Bernadette Corporation, Mareike Bernien and Kerstin Schroedinger, Derek Jarman, and Bruce and Norman Yonemoto, with works dating from the 1970s to the present. Narrative Color features film and video work that incorporates color as an instrumental narrative device or subject, presenting this consideration of color as distinct from that in earlier artists’ films. Works on view address color more and less explicitly. 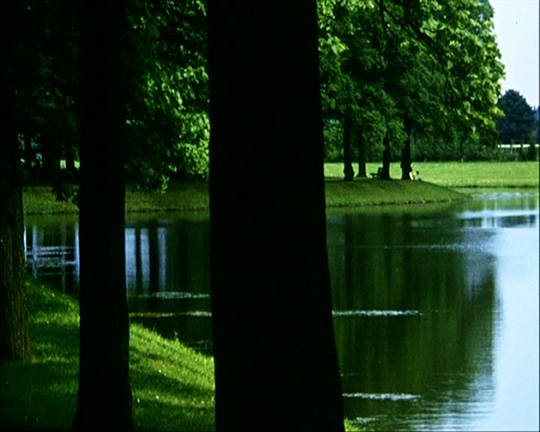 KP Brehmer’s 1970 film Ideale Landschaft (Ideal Landscape) features landscaped gardens and their color palates, supplemented by commentary by Brehmer on how these palates function in bourgeois and socialist contexts. 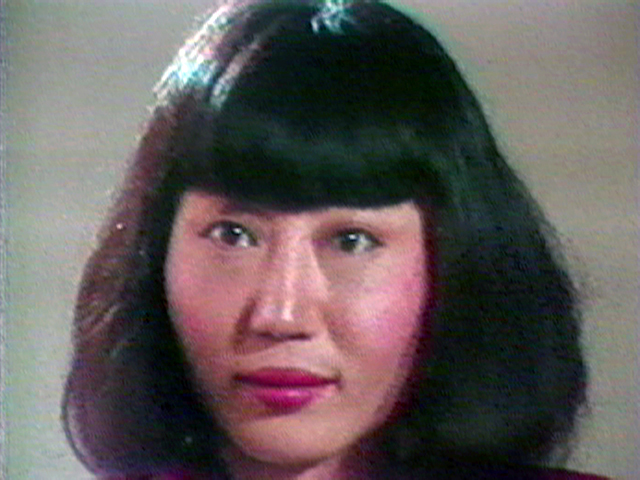 Bruce and Norman Yonemoto’s 1982 video Green Card: An American Romance is an exploration of Hollywood cinema’s use of aesthetics applied to the story of a young Japanese woman who marries an American man for a green card. 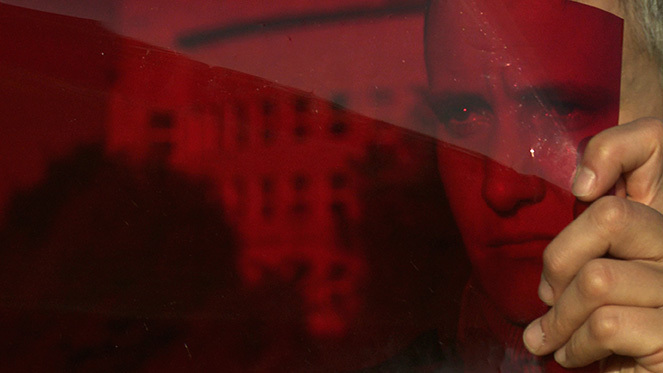 Mareike Bernien and Kerstin Schroedinger’s 2014 film Rainbow’s Gravity, a cinematic study of the Agfacolor-Neu colour film stock made in Nazi Germany. Marieke Bernien will give a talk on Wednesday, April 20. The talk begins at 6 pm and is free, though advance registration is required. Bruce and Norman Yonemoto, Green Card: An American Romance, 1982. Video to HD transfer, color, sound, 79 minutes 15 seconds. Courtesy of Electronic Arts Intermix (EAI) and the MIT List Visual Arts Center. Mareike Bernien and Kerstin Schroedinger, Rainbow’s Gravity, 2014. HD video, 33 minutes. Courtesy of the artists and the MIT List Visual Arts Center. Derek Jarman, Wittgenstein, 1993. UK. 35mm transferred to DVD, color, 69 minutes. Courtesy of Zeitgeist Films and the MIT List Visual Arts Center. KP Brehmer, Ideale Landschaft (Ideal Landscape), 1970. German. 16mm film to DVD, 3 minutes. Courtesy of KP Brehmer Sammlung und Nachlass (Collection and Estate), Common Film Produktion, and the MIT List Visual Arts Center.